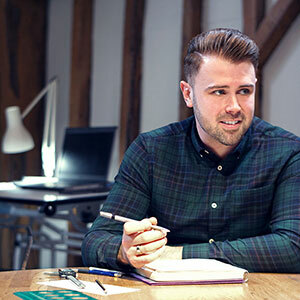 Tom and Heather met at university where they both studied aerospace engineering. 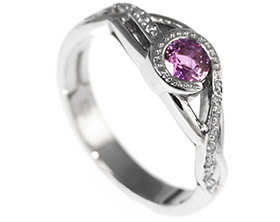 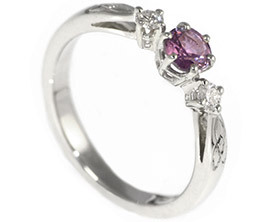 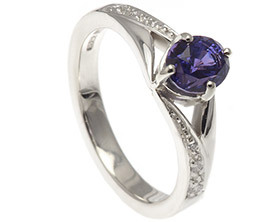 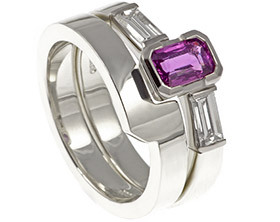 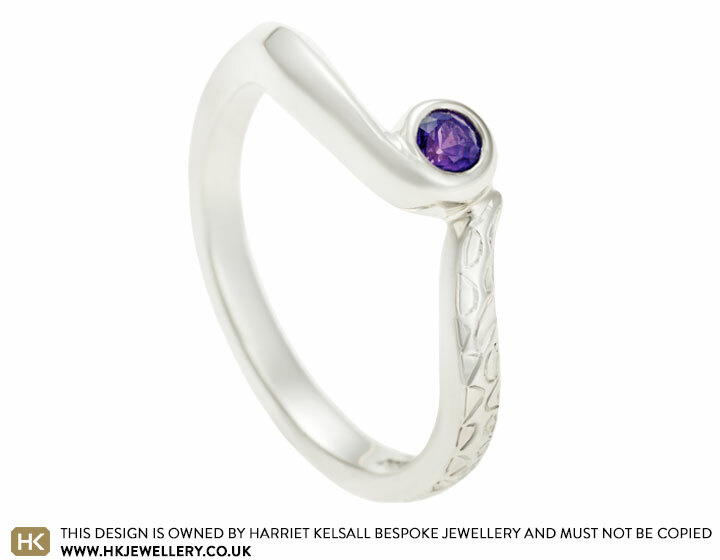 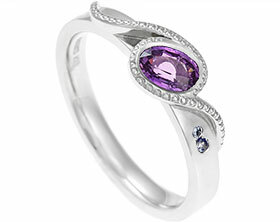 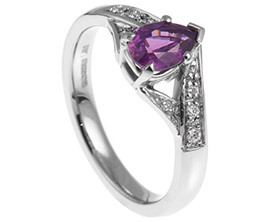 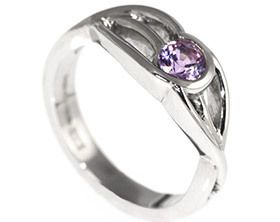 After they gained their degrees they found careers as engineers so Tom wanted to commission an engagement ring which reflected their love for innovation.At the centre of the platinum engagement ring is a 2.96mm 0.13ct brilliant cut purple sapphire. 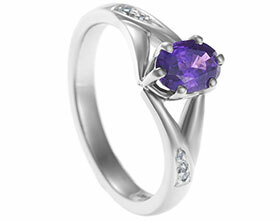 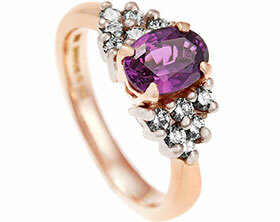 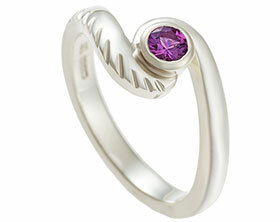 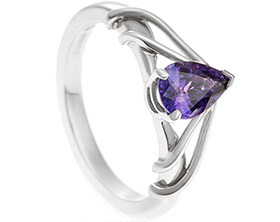 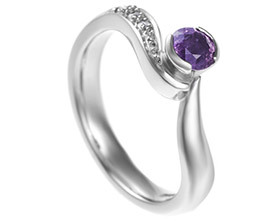 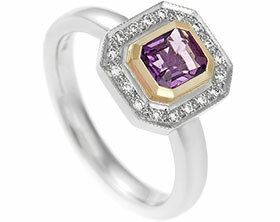 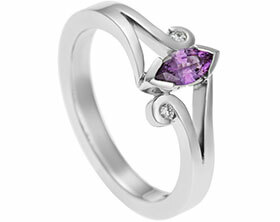 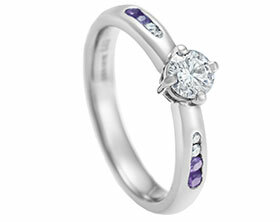 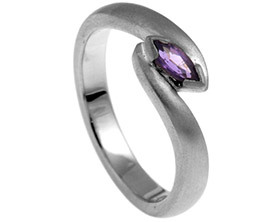 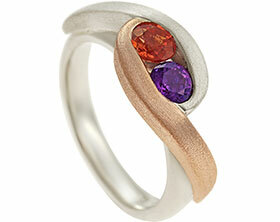 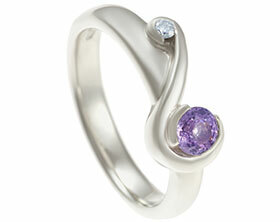 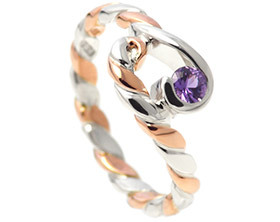 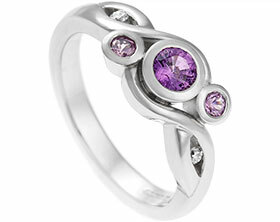 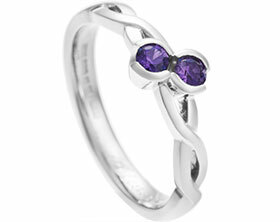 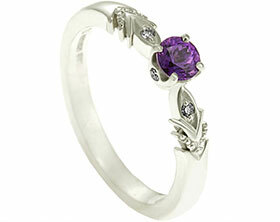 To incorporate Tom's chosen inspiration, the ring has an apex profile to represent an airfoil. 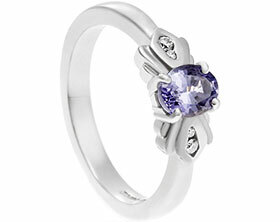 Tom also wanted the design to reflect Heather's love for turtles so delicate turtle inspired engraving has been incorporated into the platinum band.